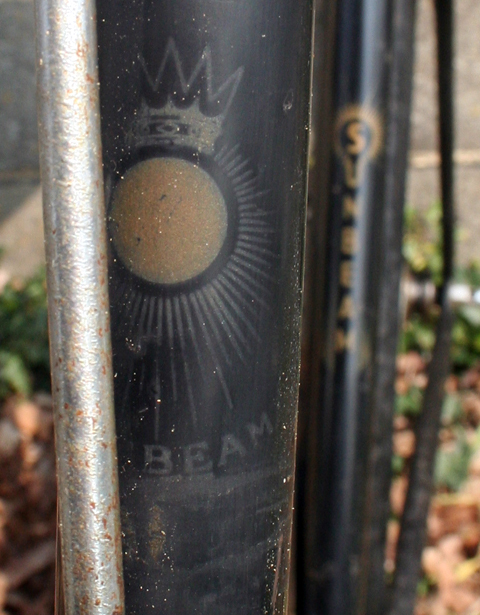 The wonderful thing about this Golden Sunbeam is its patina. 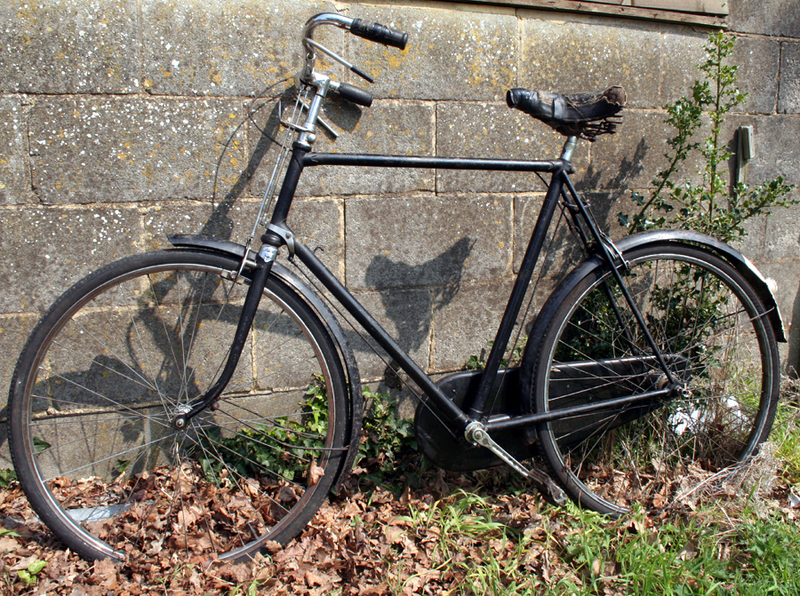 Its frame still sports the original paintwork and the Sunbeam transfers are in good condition. It’s mechanically sound and fully operational. 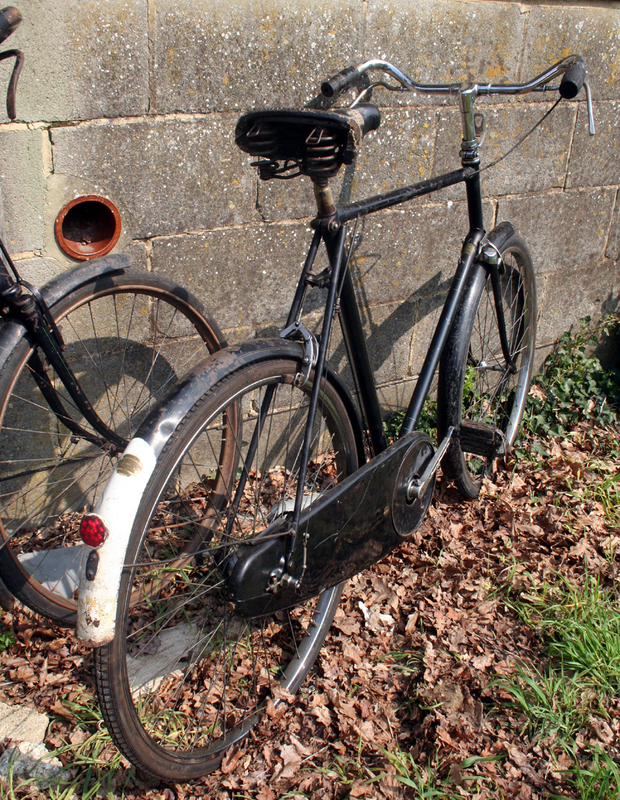 As you can see below, the Golden Sunbeam has a partner to keep him company. 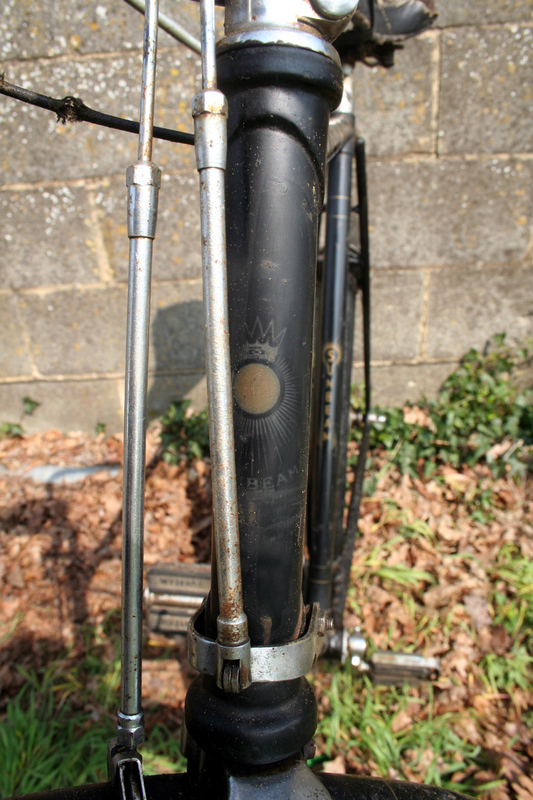 The bicycle shop that supplied this machine put their own label on the top of the down-tube, as you can see above, and in more detail below. The suppliers were E.A. 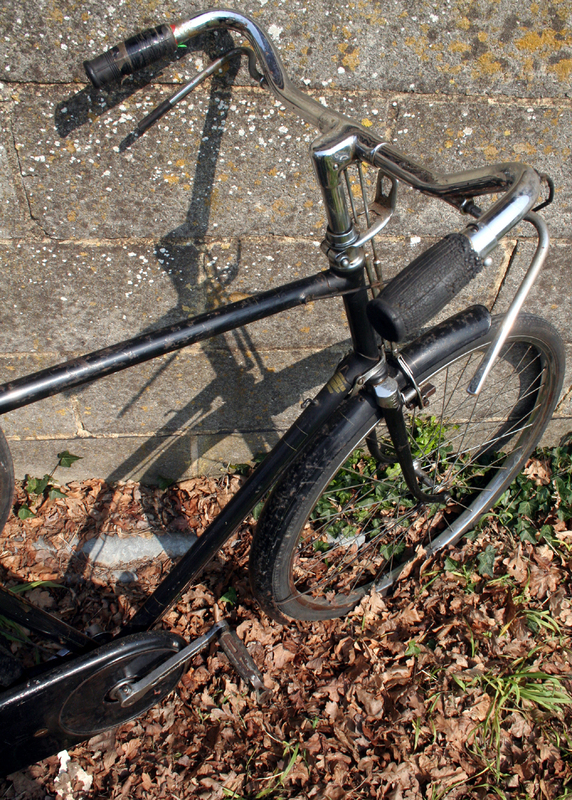 Boult of Gaol Rd, Crooked Ridge, Stafford. 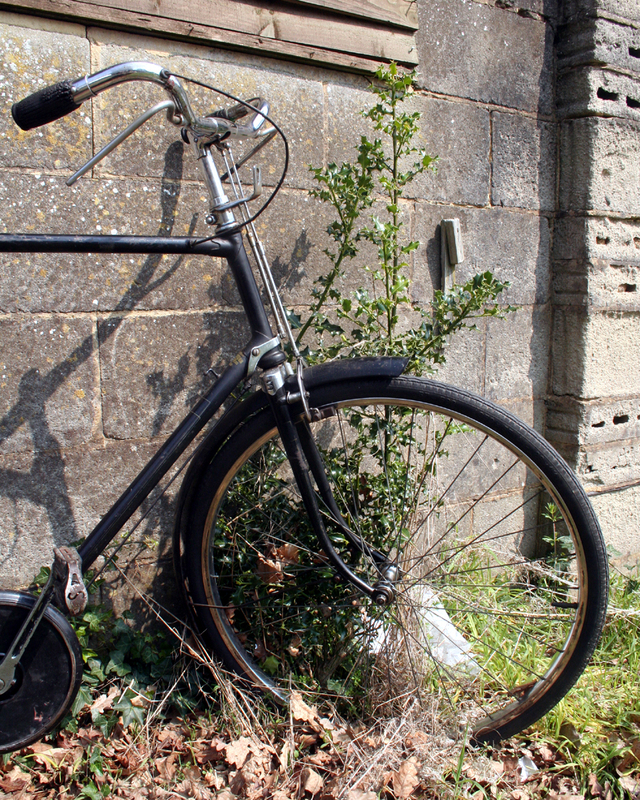 Mr Boult was a frame-builder who established the cycle shop here in 1898. 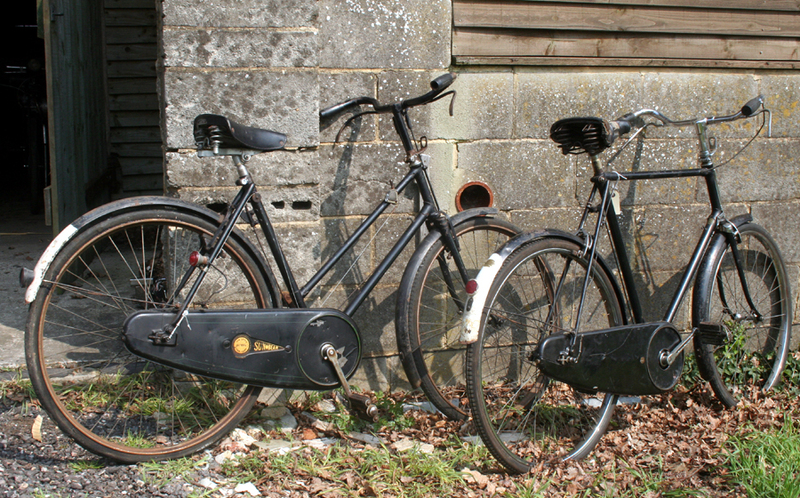 In 1951 Ernie Witcomb bought E.A. 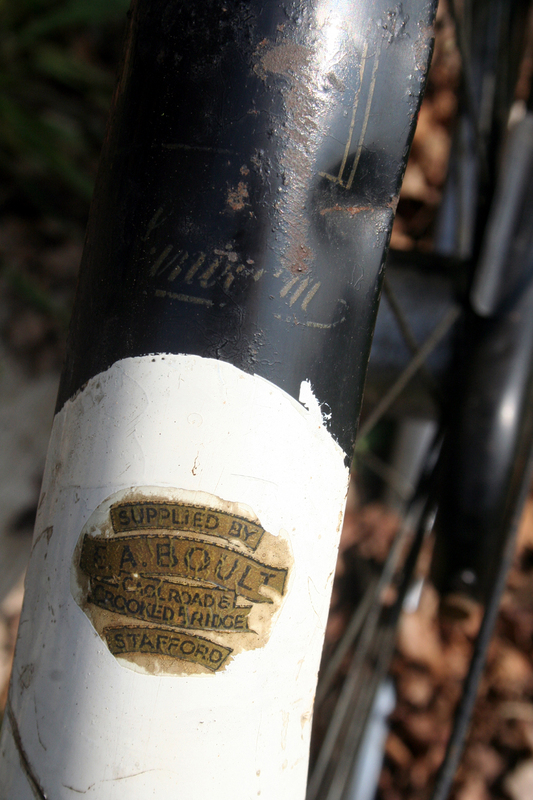 Boult & Co, where he had been working since before the war, and by 1952 started trading as Witcomb Lightweight Cycles Ltd. I believe the Witcomb premises in Deptford, South London, was originally Boult’s shop, that had opened a branch here in 1931. 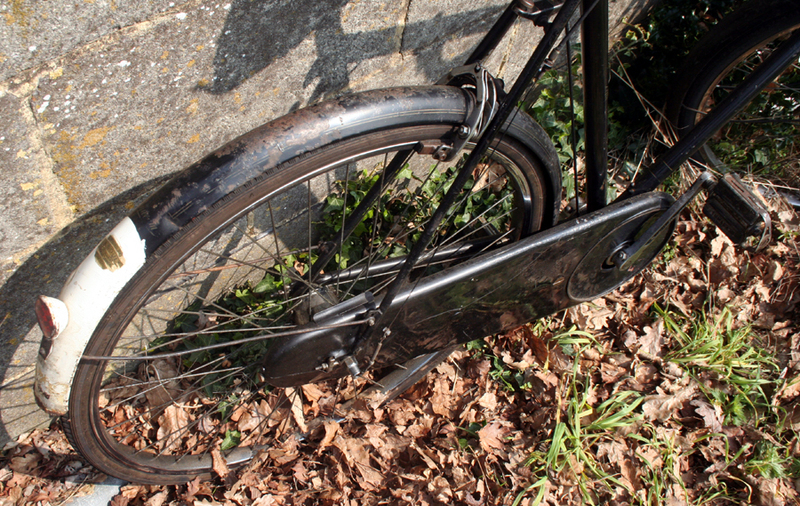 They also added their sticker to the rear mudguard (above and below). 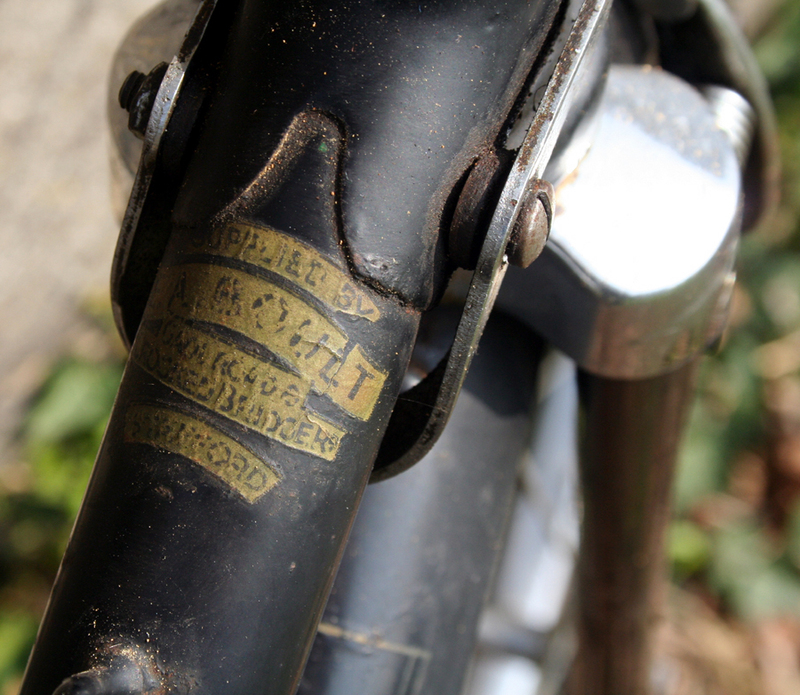 As you can see, the rear mudguard was later white-tipped for wartime use, with the paint applied around the dealer label. 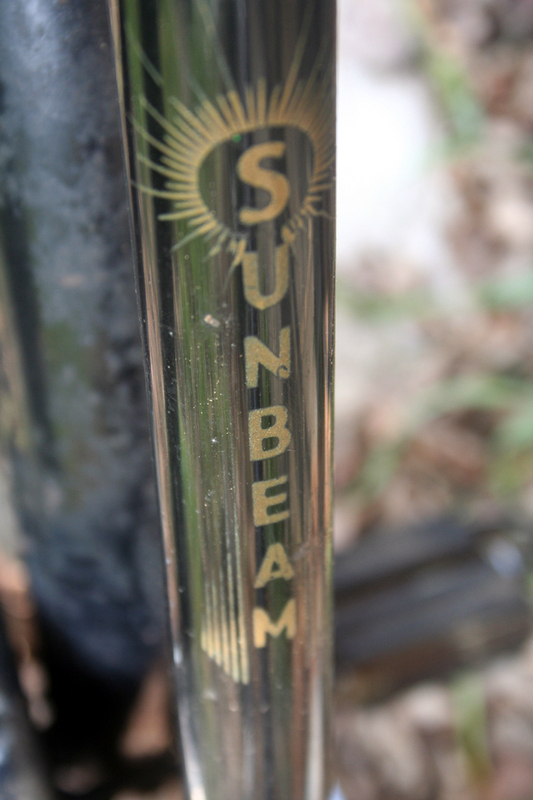 The Sunbeam name is still just about discernible.